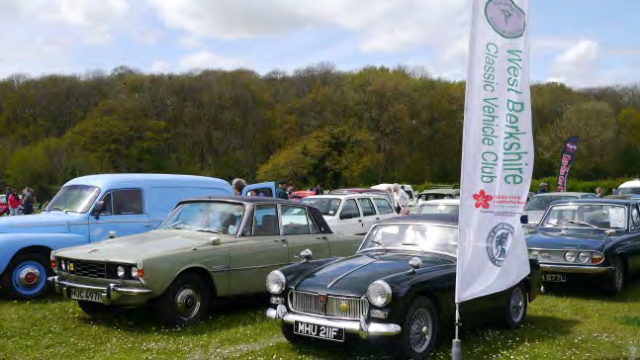 The West Berkshire Classic Vehicle Club is an active, multi-marque, classic vehicle club which meets once a month at the Royal British Legion in Newbury with a range of other social activities and vehicle meetings throughout the year. The club holds an annual classic vehicle show and carries out fund raising for local and national charities including Bloodwise, formerly Leukaemia & Lymphoma research. The club welcomes everyone with an interest in classic vehicles, modern and old. If you would like to be a part of a classic vehicle club that that also cares for the community we live in, why not consider joining us. Membership fees start at £16 with discounts for seniors. A number of local suppliers have kindly offered discounts to club members. Pleases note these are only available to club members who are able to produce a current, up to date WBCVC Membership Card. Motor Parts Direct offer West Berks Classic Vehicle Club members a 10% discount on most of their products, on production of your WBCVC Membership card. Parts and accessories for moderns and classics. Motorists Discount Centre in the centre of Newbury has offered a discount to club members over a number of years. Again you will need to produce an up to date membership card to qualify for a discount. The company carries a wide range of parts and accessories and will even order parts in for you. Bathwick Tyres in Newbury also offer a discount to club members on production of your WBCVC membership card.